If you've ever wanted to learn more about the birds you see in your backyard...this probably won't help much. But it will give you a laugh! 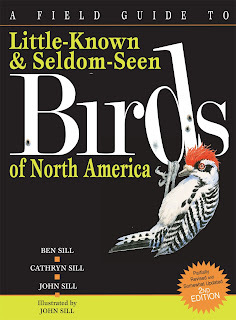 John, Cathryn and Ben Sill are at it again with this "partially revised and somewhat updated" second edition of their notorious A Field Guide to Little-Known & Seldom-Seen Birds of North America. To celebrate the return of this feather-brained parody, we're posting a new (and we do mean 'new') bird every week over on Facebook! Join the fun and read the introduction here! A Field Guide to Little-Known & Seldom-Seen Birds of North America is also a featured title on Netgalley!